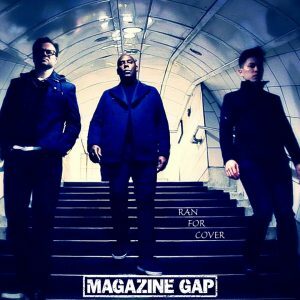 Magazine Gap – Ran For Cover – Single Review | The Ark of Music – The best music in the world…you never knew existed. We are thrilled that the boys of Magazine Gap are back on our radar. 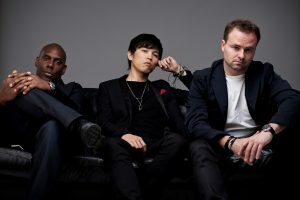 This talented trio, consisting of James Keen (vocals, acoustic & electric guitars), Alex Ho (piano), Brian McCook (drums & percussion), caught our attention back in January with a newer single, In Two Minds; and also with Slipstream, an older track of theirs and a beautiful song about making the most out of this life. For their latest single, Ran For Cover, reinforcements were called in by way of Amadu Koroma (Bass Guitar), Binker Golding (Saxophone), Jeffrey Brown (Trumpet). Check out our previous review of Magazine Gap’s single, In Two Minds, HERE. Check out our feature of Magazine Gap’s single, Slipstream, on Instant Music List #13, HERE. In our previous review of Magazine Gap, I likened these fellas to Elton John and Tracy Chapman making a record together, and I’m sticking to my story! BELOW, you can watch & listen to Magazine Gap’s new single, Ran For Cover, and connect with their website and social media platforms. Please support Magazine Gap by visiting them online, and playing, downloading, and/or purchasing their music. And, as always, thank you for supporting real music!